Purchasing a home is one of the most important investments you will ever make. To protect your investment, you need to be aware of all possible safety concerns, as well as any expensive repairs that will need to be made immediately. With insights provided by my extensive building and inspecting history, I am also able to provide information concerning conditions that may lead to future damage and expense. 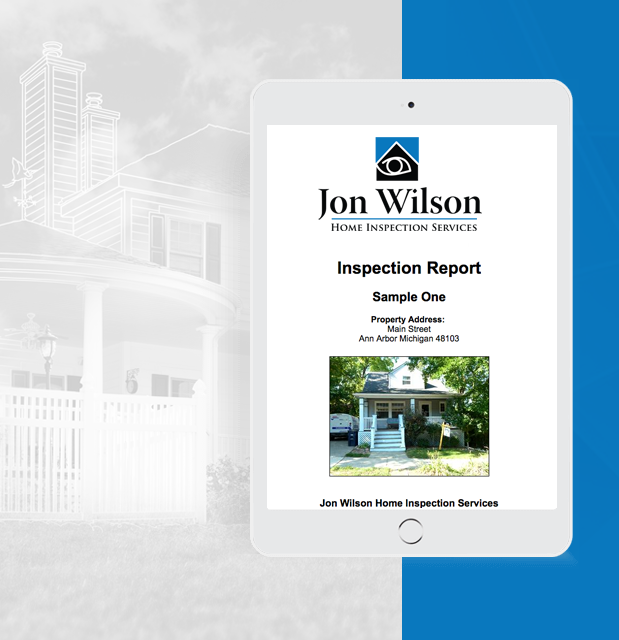 At Jon Wilson Home Inspection Services, I offer a comprehensive Buyer’s Inspection that will reveal the condition of the home you’re considering so that you have the knowledge to make an informed decision. Jon Wilson Home Inspections is dedicated to providing top-notch service to each and every client. When you schedule your home inspection with me, I’ll research the home before ever setting foot on site to educate myself concerning any possible peculiarities with the property’s construction. I’ll check the local Building Department records for any building permit inspections that have passed, been left open, or failed. I will be as prepared as possible before I begin the meticulous inspection of the home’s many components. When your inspection is over, my obligation is not. I’m available to address any questions about the inspection or your home at any time. My detailed and easy-to-read reports are available by login within 24 hours of your completed home inspection. I include numerous high-resolution photographs with every report to ensure that you have a comfortable understanding of any findings. As an added value to my report, I provide access to the cutting-edge Create Request List™(CRL™) feature by HomeGauge. With the CRL™ feature, you can easily pick and choose individual findings from your report to compile into an itemized repair list to share with your realtor during negotiations and use as a to-do list after purchase. I draw from my years of experience in the housing industry to offer an exceptional home inspection for every client. That’s why I have the confidence to offer a 100% money-back guarantee. If you’re not satisfied with your home inspection, I’ll refund you the full cost of my services. I’m proud to offer comprehensive home inspection services to Ann Arbor, Michigan and the surrounding area. Jon Wilson Home Inspection Services is committed to educating clients so that they can arrive to a well-reasoned decision when buying a home.